Pace Pools was established in 1974 by its present day owners Dave and Vicky Templeman. As the company grew it soon become recognised as a company that produced and specialised in superior custom made concrete swimming pools.In 1996 son Daynom became a shareholder in the company and is actively involved in managing the construction and finishing aspect of the business. 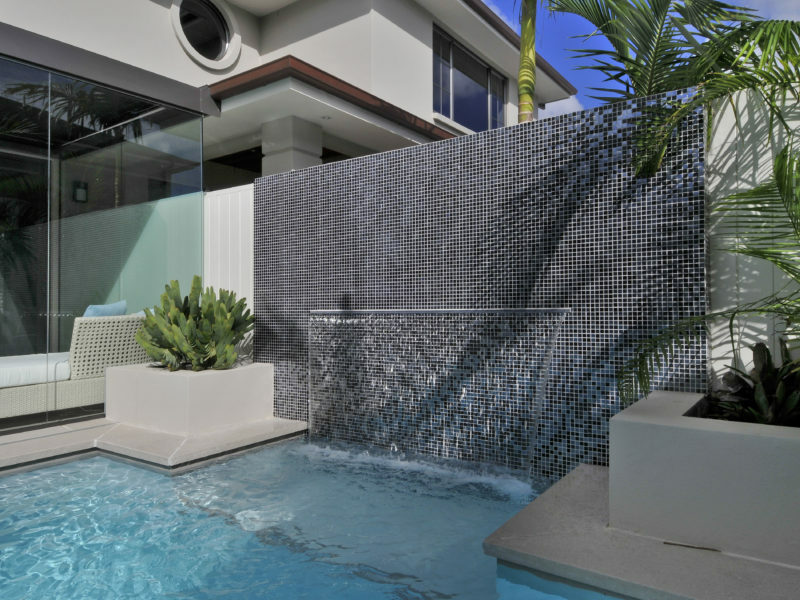 Within 15 years of establishing Pace Pools as a market leader in the construction of concrete pools, a decision was made to diversify and fill a gap in the market place offering a cheaper option swimming pool. Pace Pools acquired another pool company in 1989 that manufactured prefabricated pools with a vinyl liner finish. For 7 years the two options were promoted, however after this period it became apparent the cost of installing the cheaper type of pool did not provide the savings expected. The advantages of a real concrete pool far outweighed anything the prefabricated vinyl liner had to offer; so in 1996 it was decided to phase out the vinyl liner option from their business.